Vanilla bean with vanilla coconut cream blend filling and frosting with strawberry jam (Strawberry Shortcake - shown above). 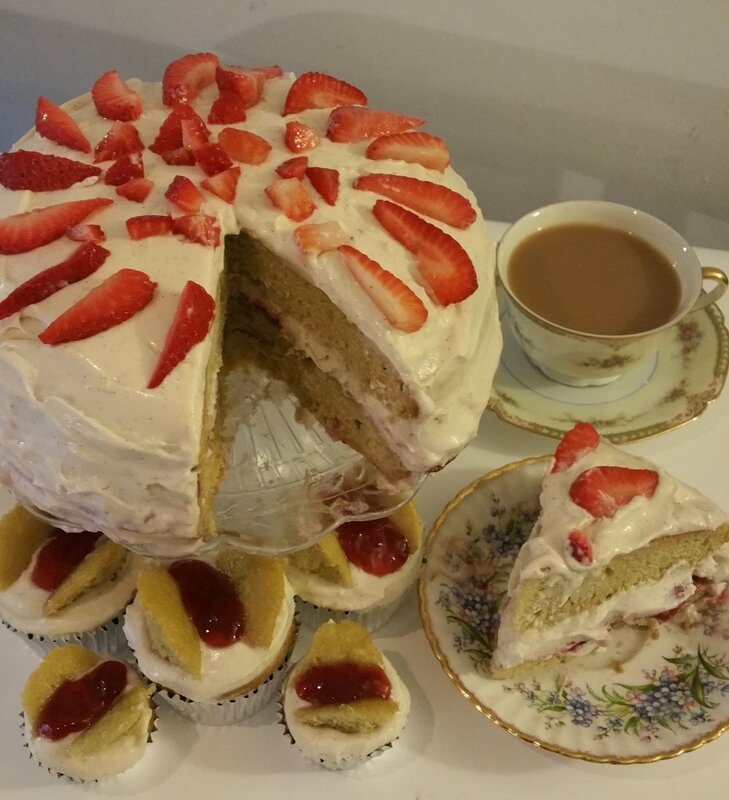 Vanilla bean with vanilla coconut cream blend filling with strawberry jam (Victoria Sandwich). Vanilla bean with vanilla coconut cream blend frosting and peaches or mixed berries. Vanilla bean with vanilla coconut cream blend frosting. 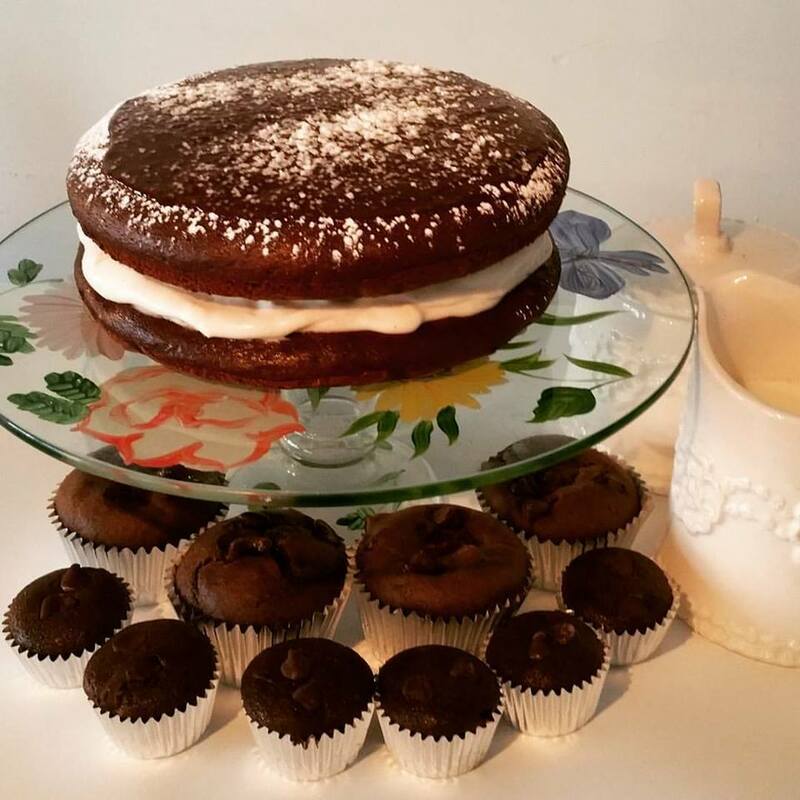 Vanilla bean with chocolate non-dairy cream cheese frosting. Carrot cake- made with coconut, pineapple, carrots, mixed nuts- with vanilla non-dairy cream cheese frosting topped with mixed nuts (shown above). Carrot cake - made with coconut, pineapple, carrots, mixed nuts - topped with walnuts (no frosting). Rum and raisin - no frosting - photos to be added soon. Chocolate with vanilla coconut cream blend frosting. Chocolate with chocolate chips - no frosting (shown above). Chocolate with vanilla coconut cream blend filling and frosting with brandied cherries (Black Forest Gateau). Chocolate with chocolate non-dairy cream cheese frosting. Pumpkin Pie Spice with Organic Pumpkin spiced frosting with sliced almonds. 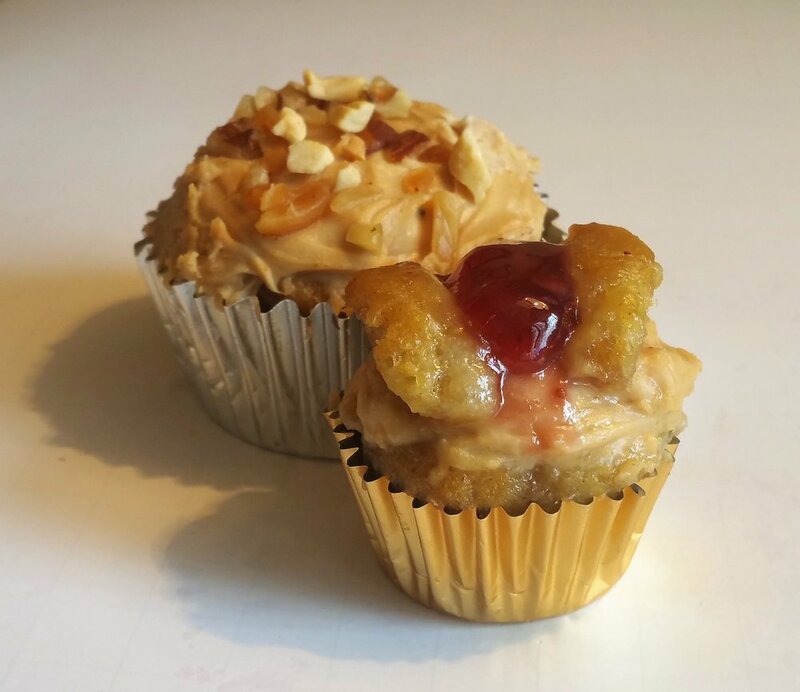 Peanut butter with peanut butter non-dairy cream cheese filling and frosting with strawberry jam. 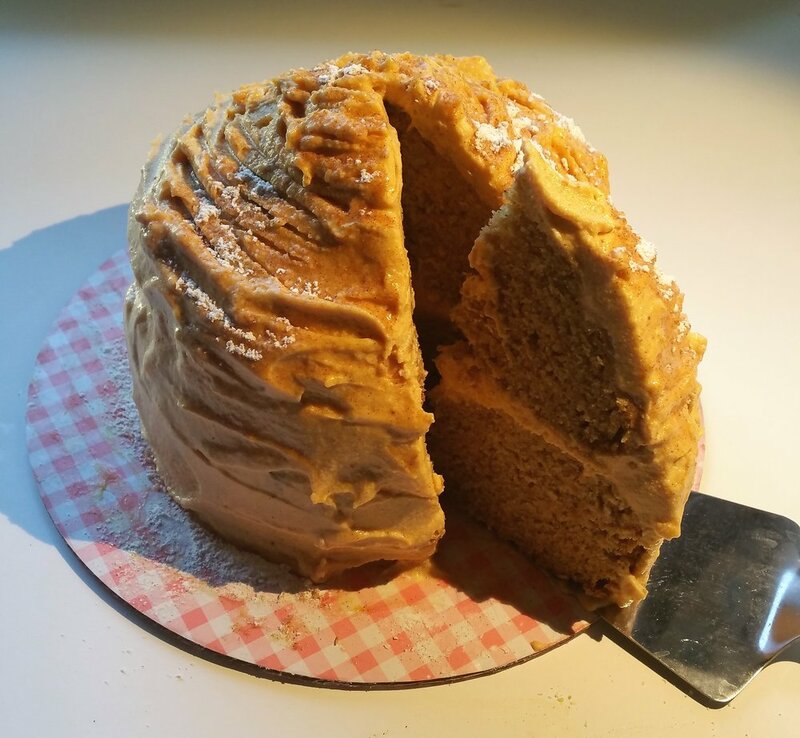 Peanut butter with peanut butter non-dairy cream cheese frosting with mixed nuts (shown above). Lemon with vanilla coconut cream blend filling and frosting with peaches. Apple Cinnamon turnover with fresh Granny Smith apple slices with a cinnamon glaze (shown above). Apple Cinnamon with Granny Smith apple pieces and slices with a cinnamon glaze (shown above). Espresso with espresso coconut cream blend filling and frosting . Espresso with espresso coconut cream blend frosting (shown above). Espresso topped with walnuts (no frosting). Green tea, Ginger with raspberries and macadamia nuts, Banana with walnuts - images to follow soon. All flavours are available in Gluten Free.